I’m sooooo stoked! Yesterday I picked up my first MacBook. 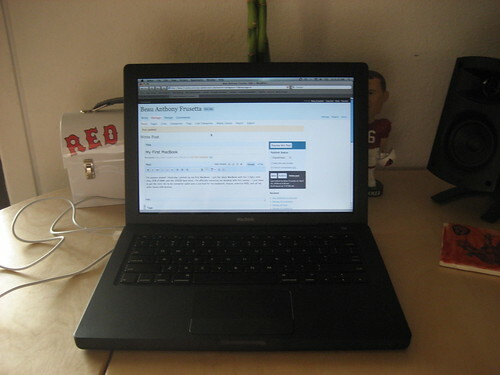 I got the black MacBook with the 2.4ghz intel chip, 2GB of RAM, and the 250GB hard drive. I’m officially replacing my desktop with this laptop – I just need to get the mini-dvi to dvi converter cable and a usb hub for my keyboard, mouse, external HDD, and all my other lovely USB devices.